Could robots build a base on Mars and who benefit until then? – Dr. Turi M.D.U.S. The gravitational forces that move all galaxies is a scientific fact; But the greatness of the spiritual cosmic manifesto is yet a mystery to humanity. God’s enslaved all his children to uncover his cosmic Divinity and with it, a life filled with health, love, respect, peace and harmony for all. EXPOSING THE MIND OF A COLD EDUCATED ATHEIST SCIENTIST! Could robots build a base on Mars? Could these robots build a base on Mars? 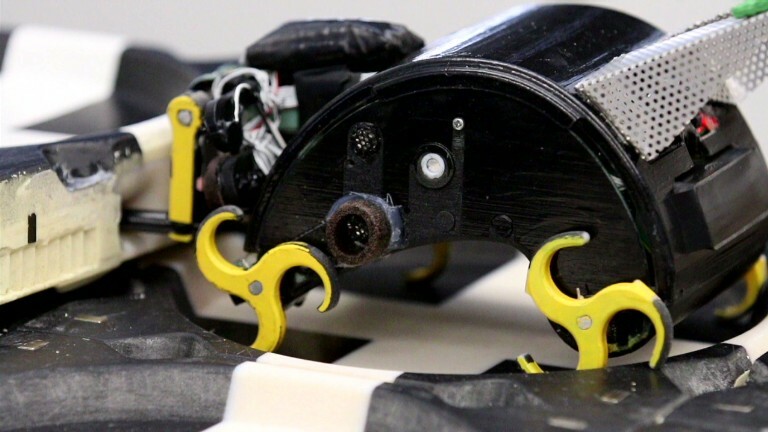 Researchers at the Wyss Institute are developing a new breed of robot that learns from its surroundings. Yes the scientific abusive matrix at work again, keeping the gullible mass at bay advertising their next ridiculous project on CNN. Meantime, NASA is fully aware that NO HUMAN BEINGS WILL EVER physically fly to Mars because it is humanly impossible. Amazing how the well oiled grabbing gears making up the cold, calculated mind of scientists works! But let’ say, they manage to convince enough morons to invest in Mars One mission and get the financial support / waste necessary to build a new breed of robot that learns from its surroundings! What the heck would their achievements do for your life, your children welfare, your mortgage, your bills etc.? All for them, nothing for you! Don’t you have a better way to spend your money? As mentioned so many times in my articles, “The True $$$$$$$$$$pirit of NASA” this crowd of intellectuals nerds would rather waste billions making robots using only their brains than to work physically like we do. They can not find a job building nukes anymore so they re-oriented themselves towards NASA programs and Mars deceptiveness. Many of those scientists are also lobbyists millionaires/billionaires investors who own the media-matrix, all whoring around maintaining lies through your donations and our taxes living the safe fat life you can only dream about. These are the cold monsters of the future, living, breezing, endorsing, promoting science only! These are the cold, logical, rational educated atheists, agnostics, skeptics and scientists born denying the spirit and God himself. They can not help to think they are better than God period! These are the monsters that will, in fifty years from now RULE the world with an iron wrist, reflecting the same obnoxious spirit of Hitler. Note for my Astropsychology students: Hitler was born with Pluto / Scorpio (power / mesmerizing / passionate / total control / fanaticism / death) in Gemini ( communication / speeches) in his 3rd house (general communication/critical thinking) and you wonder why the German population fell for his hypnotic, passionate speeches? Now in a few words you understand better Hitler’s deadly, fixed cosmic psyche. Science has so much to learn from Dr. Turi and rest assured, they all “secretively” do! The mind of a racist or an agnostic is cold, calculated, petrified to the point of feeling no pain nor compassion for anyone but the clan he belongs. And if you think I am exaggerating look around you, look at all the rich and famous people who suffered Hitler’s spirit last few months? Do you think they got wealthy by being sensitive to others’ needs or ruthless and inconsiderate? Why would you let those cold calculated minds rule your future and will you help me stop cosmic ignorance? At 64 I am at the autumn of a very rich, unique and rewarding life, should I just concentrate on my retirement or keep fighting for your children psychical freedom introducing them all to a real cosmic God? But the world is not aware, nor listening just yet and those changes are imposed upon each human beings. But how smart and curious are you to avoid the penalty of your own cosmic ignorance? Again this does not mean you are an idiot, just misinformed OK? If there was a better way, smarter, smoother, diplomatic way to tell you to read how this cosmic energy will affect you personally, and work harmoniously with the cosmic code, I would! But there is not, just Dr. Turi’s undiluted truth! Did humanity learned anything at all by letting the worse of Hitler’s Capricorn UCI get the power and total authority induced by the coldest, utmost manipulative sign of the zodiac? The problem is 99.999% of the world is non cosmic conscious, veneering and fearing a false God when they should upgrade to a more lucid , advanced cosmic frame of mind. Looking at the endless unfolding predicted news, I know many of my smart readers are able to decipher and appreciate my cosmic messages. But still, Hitler’s dangerous army of envious young souls are making for a large portion of our manipulated society. They do not ask nor questions anything and simply follow today’s rulers… Who are those matrixes leaders? 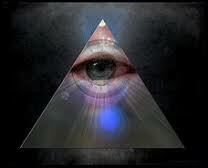 They are all speaking and influencing you from your TELL-evision. Fact! If you make people think, they will love you, but in my case, if you REALLY make them think harder and challenge them, you force them out of their comfortable accepted religious or scientific zones and they WILL HATE YOU! This “Generation of Born OCD” is totally depraved of spiritual cosmic wisdom and so oblivious of God celestial divinity. This make those “robots” behave like “human” feeling and wanting to be sought as SUPER-human! Indeed they have a long way to go! All the while educating, creating and punishing innocent children for becoming uncontrollable monsters! Yes the product of a Godless “educated or religious” society gone mad, and this is just the beginning… Don’t you think its time for the Christians and the atheists to ask real questions and think differently about the possibility of a cosmic God? Elliot Roger Versus Adam Lanza – Future Astroforensics At Work Today! Previous post: Author says earthquakes are predictable, Dr. Turi did so since 1991! Next post: Bergdahl a deserter, not a hero/ ARMY/NAVY Targeted.